Some of the misconceptions of teaching and learning in a digital environment is that instruction comes from the computer and the teacher’s role is primarily making sure students have fixed attention to their computer screen. Part of this reasoning has developed from how we were taught and even our beginning teacher experiences. Delivery for most of us was one sided – with the teacher talking/lecturing or asking questions, maintaining the prominent role in the classroom. Over the years, better teaching strategies have developed and become widespread and technology has gained popularity as an engagement opportunity. Our ongoing work as connected educators is to provide clarity that its not just an engagement opportunity but an chance to empower students to dive into passions/interests and curriculum objectives free of printed limitations and empower teachers to create new ways to connect with students. Archiving instructional support – Our district hasn’t bought textbooks for several years [way to go]. As such we have to work to find and use impactful and relevant resources for students. Delivery is an important part of what we plan for but what do we do after we have taught a concept – where do we archive resources to easily allow students to access and refer back to if needed? An LMS [like Schoology], website like Google or Weebly or a blog are important assets to have. But we have to make them part of the learning landscape. Regular mention and specific talks about them help families know where to go and use resources regularly as part of instructional support at home. 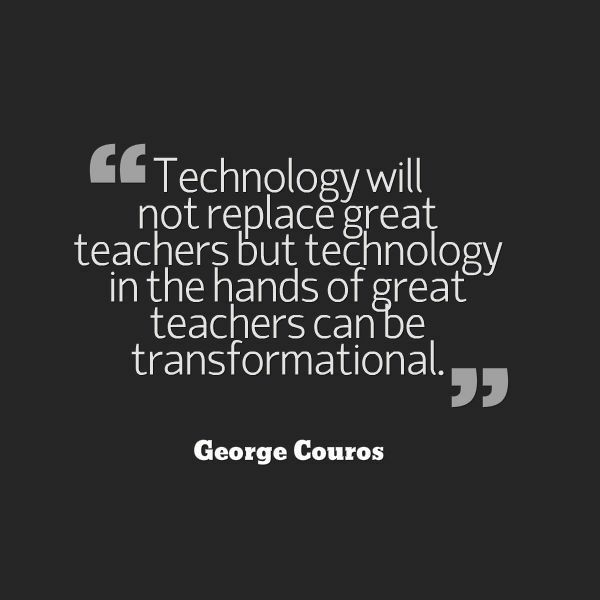 Purposeful planning with technology is needed to enhance the great things teachers do in the classroom.